This latest march has been our longest yet. 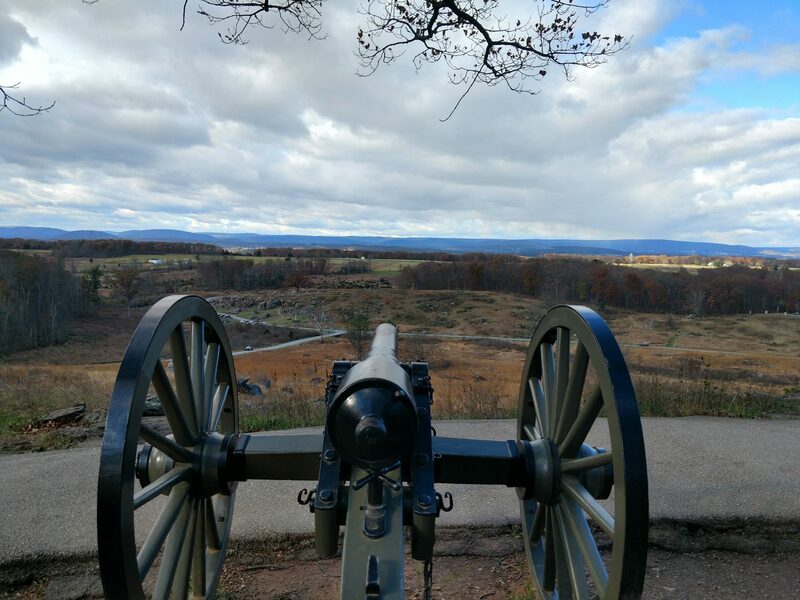 We left northern Virginia in September, marches of 20 or 30 miles, worse than Gettysburg. I’m sure you have heard that we have been betrayed by the Northern Spheres – how our brave Lincoln calmly heard the news of the loss of our fleet without shedding a tear, but those who were there said his stance seemed firmer and his gaze more iron, when he said, “The better angels of our nature must yield to the necessities of our countrymen – these losses shall not be borne. We shall avenge their memory, and in doing so, spread the blessings of freedom to a whole new people. All men are born free, no matter their stature. You shall carry the thoughts of a grateful nation and the hopes of all freemen.” This was read to us as we assembled, 75,000 strong, at Philadelphia. Our force is made up of those hardy enough to endure such a privation of a campaign in the high north, to end the threat in our very rear. Regiments from Maine to Minnesota fill our ranks, woodsmen all. We entrained from Philadelphia, disembarking in Quebec, where we were joined by three regiments of volunteers to punish the renegade evildoers. Two regiments of the Queen’s own infantry are also accompanying us, although I fear their red coats may give us away. I tell you, my dear, that in the march north, I did fear indeed for our tiny army. The treachery of Kringle drove us, ever onwards, and yet as the dreary wilderness fell away under our feet we felt as though our ties with all bits of home were lost. And the loss of innocence engendered by the knowledge that this false prophet is naught more than a Secesh traitor. I declare, the thought of that wicked elf supplying the arms of war to the rebels fills me still with rage. But it is now two weeks since that we were first made aware that we were not alone. As we marched, we could hear the soft and occasional jingle of a bell, or the slough of a sleigh, faint in the darkness. Our cavalry brought the fresh news of a dread foe in our front, marching in countless number. We deployed by brigade, shaking our colors loose in the cold winds. We waited, hands freezing in the snow, when suddenly through the flaky snow we saw their serried ranks of brown and white and green and red. They charged and we have them a volley and a “Tiger” for good measure, and their first ranks crumbled into dough and pastry. But they were too many and they crashed into the 2nd Vermont on our flank, where their sharpened peppermint sticks flashed and blood flowed. But the Noble Vermonters gave not an inch and answered with the bayonet, and then the gallant 17th Maine drove home with steel, and the gingerbread foes were trampled underfoot. We gathered their remains up for our haversacks. Such is the brutality of war. We buried our sad dead, and marched on. Three days later, our cavalry came galloping back, their horses fleeing a pursuing foe. We sprang into action, and our colonel, of sharp mind, called us to form square. After some fumbling the ranks were formed, the solid steel of the Republic shouting defiance at the enemy’s horse that came into view. But what horse! Brown beasts of rangy gait and with antlers sharpened to a fearsome point, they came at us disdainful of our volleys. The 14th New York was cut nearly to ribbons – their screams were pitiful as the fearsome terrors of the enemy came on, led by a dread deer with a shining light affixed to his head. But the 2nd Wisconsin Light Battery gave them double canister – and they gave way. Up rose the 16th Michigan and the 1st Minnesota, their colors catching the cold northern sun, and their volleys felled the deer with the dread light, sending him to the earth in gouts of blood. Then the sabers of the 2nd Massachusetts Cavalry rose in charge, and the bugles sounded, and the thunder of hooves surrounded us. The slaughter was great and we avenged our losses. And around our campfires that night, we fed on venison, our first in many weeks. I tell you, Hannah, we were but glad to get it, even at such a cost. We marched on – feet freezing as the weather turned ever colder. And dear, the sad sights we came across as we marched: the trees bedecked with baubles and lights, all now ablaze. Scores of elves, destitute, shackled, left to die by the man who would dare to say what was right and what was wrong – well, Father Abraham was there for them and they marvel to be free. I tell you, Hannah, these are sights that shake a man to his core and make him think on what it is to be a Christian. In this time of year, too, when our thoughts turn to home. Tonight, we are encamped on what will be the final field of battle. The snow is lit by a myriad of camp fires – every flicker a light of the Republic. Across the barrens of snow, deep behind logs of peppermint and gum drop, sits our foe. All assembled can hear his mad laughter, and it chills us more than the North wind. Yet he dared to flaunt treason’s rag over his marzipan walls. We did not want this war but we shall be the ones to end it. My dear, if I fall upon this field, think not that I fell in vain. Truly, our children shall live and love in one country, made whole, where all can be free, and all can celebrate Christmas as their conscience dictates. My love for you would carry me beyond yon striped pole – and through to the shimmering northern lights that grace us this very night. Fear not. Our General Sherman will not let us down. Nor will Pap Thomas permit the Rebs one chocolate-coated step further.